Companion Camp is a full-service animal care facility dedicated to providing quality pet care services. 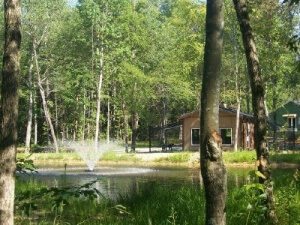 The Camp offers safe and reliable care for pets in a beautiful, natural setting. All of our guests enjoy TLC from owners who live on the premises; opportunities for exercise, play, and socialization in a home-like environment; and lots of affection. 3408 Castle Rock Farm Rd. Monday – Saturday 10 a.m. – 4 p.m. and 4 p.m. – 6 p.m.
Sunday 4 – 6 p.m.